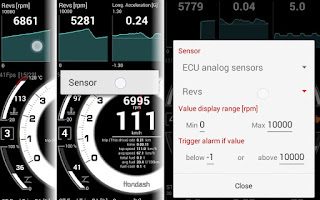 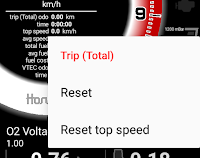 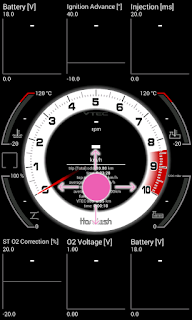 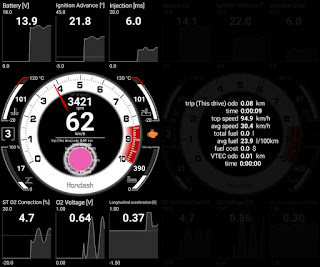 Engine temperature, Intake temperature, Throttle position and MAP (Manifold Absolute Pressure) sensor data are permanently displayed in peripheral gauges. 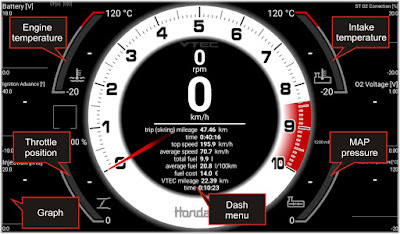 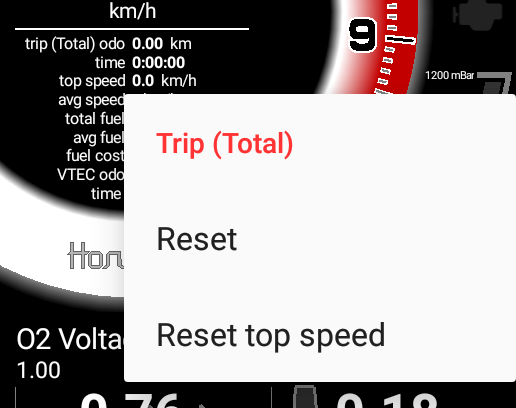 Dash menu shows the currently selected sub-menu with corresponding information. 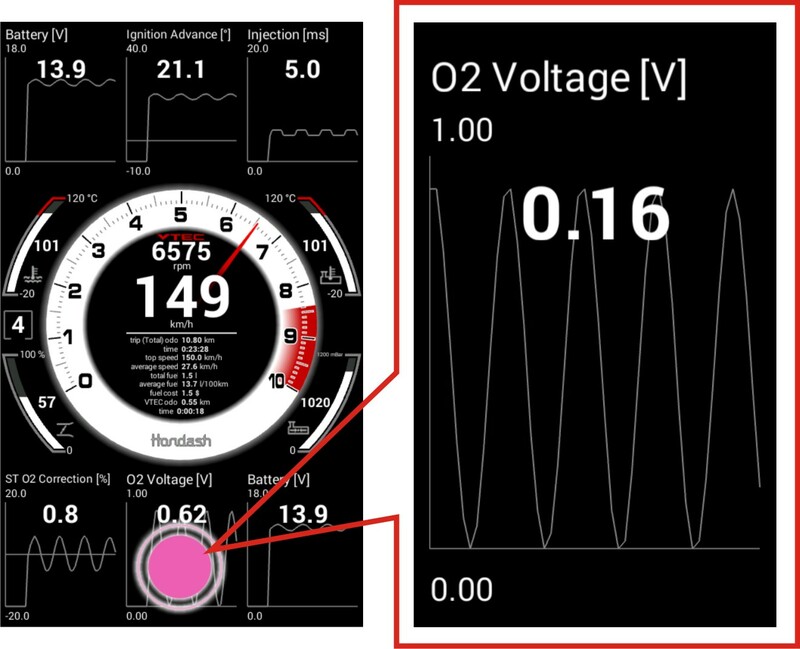 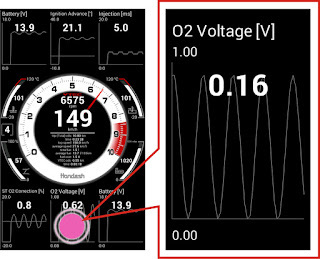 Graph displays real time sensor data. 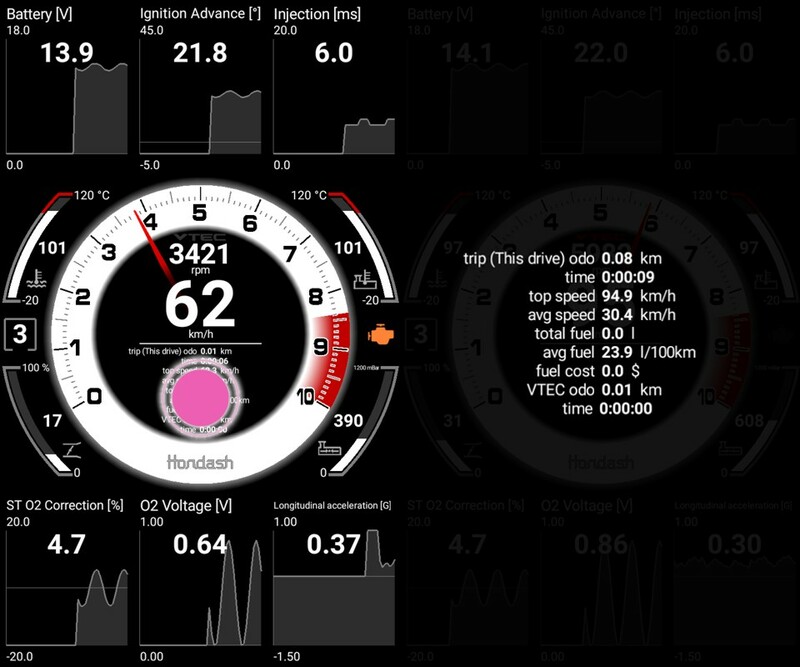 It's possible to configure what sensor data to display. Accessing the settings through navigation drawer. 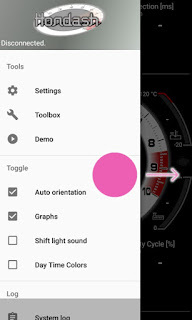 Open the navigation drawer by swiping from left to right on the left border of the screen. 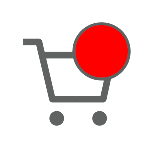 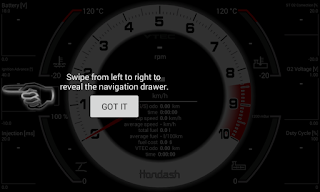 You can also call up the navigation drawer by long touch, for example by touching the Hondash logo, or elsewhere. Navigation drawer is the only access point to car and app settings.